Hospital Fleece pads are made from 100 machine washable lambswool. The soft lambswool is knitted into a backing material to create a dense fleece. A waterproof, breathable layer is then bonded to the back of the pad, making it ideal for mattress and wheelchair protection. 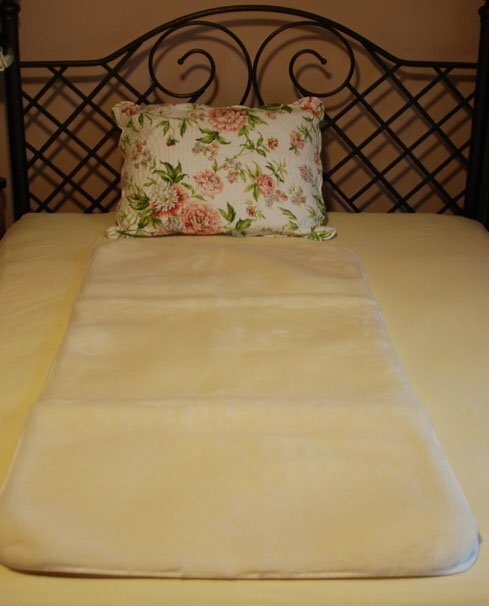 This fleece creates a micro-climate which assists in regulating body temperature and humidity. A recent study showed that patients on the Hospital Fleece could be comfortably left unturned for more than double the usual 2 hour period. Even after 4 hours there were no obvious pressure points or redness. In all cases, the patient reported relief and increased comfort on the Hospital Fleeces.